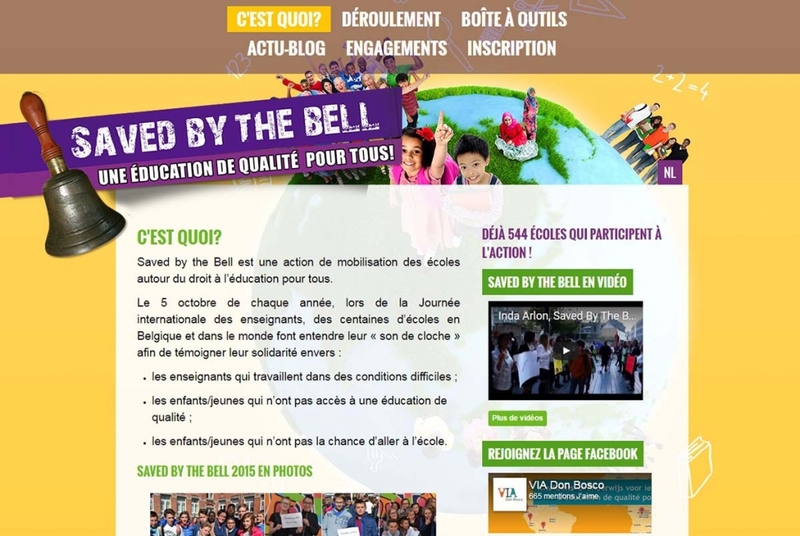 Students in Belgium are relieved at the sound of the bell after class but millions of children and adolescents around the world have no one to save them from “the well-known difficult conditions for teaching, such as overcrowded classrooms, or schools without teachers” says Christopher El Khazen, head of education for development of the NGO Via Don Bosco. So today we celebrate the 10th annual “Saved by the bell” promoted by VIA DON BOSCO. It brings together over 500 institutions to increase awareness of the right of access to education. Among the educational centres involved there are the Salesian schools “Institut Don Bosco” et “Don Bosco Instituut” à Woluwe-Saint-Pierre. “It is important to do everything possible to make education accessible to all. Education remains a priority channel for reducing world poverty. This year we are asking politicians to sign a letter of commitment to promote education as part of their duties,” added Christopher El Khazen.